On July 7th, 2007, Machu Picchu was declared as one of the New Seven Wonders of the modern world. This breathtaking and amazing sanctuary is on the list of World Heritage of Unesco since 1983. It was rediscovered by Hiram Bingham, an American archaeologist, in 1911. Many archaeologists and scientist have spent many years investigating the mysteries of Machu Picchu. Machu Picchu is visited by many travelers around the world and due to its ecosystem, it hosts a wide range of flora and fauna such as various orchids and animals that are in danger of extinction. Machu Picchu's ruins are located in South America in the country of Peru. The ruins are one of the most magnificent ancient sites in the world. They are 2,430 meters (7,970 ft) above sea level on a mountain ridge above the Urubamba Valley in Peru, South America. The entrance to the citadel of Machu Picchu is located in the southeastern Andes, in the valley of the river Huatanay and two of the most popular ways to get to the citadel is by train and inca trails. By train, the journey is approximately 4 hours, departing from the Poroy station. There are 3 different trains that can be taken. Backpacker Train off luxury and security: It offers heating, air conditioning, and panoramic windows. Vistadome Train offers panoramic windows, snacks and hot and cold drinks as well as onboard entertainment. Hiram Bingham Train is described as an exclusive service, where you will have an unforgettable experience. All services are first class and is identified by their blue and gold colors. Italian Class Magazine named it one of the best journeys in 2008. By Inca Trail, there are excursions available. They last 4 days and 3 nights or 3 days and 2 nights. The road can be quite a challenge because it is approximately 42 kilometers and has a maximum height of 4000m. However, the scenery is breathtaking with unbelievable landscapes and Inca ruins. The Inca Trail season is open from March to January. Due to the construction, the remarkable Citadel Machu Picchu is surrounded by several intriguing attractions. These spectacular attractions are like nothing you have ever seen. In April, May, September and October: At these times, the climate is delightful and warm-to-cool temperature. In June, July, and August: Great weather, the days are warm and the nights are cool. There is also very little rain. The best time to trek in the Andes is from April to October. June, July, and August are the high seasons for trekking and Inca Trail permits sell out quickly, sometimes months in advance. 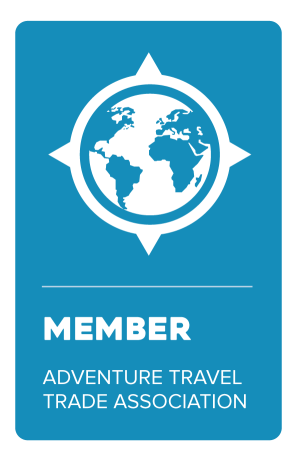 Don't hesitate, Call Jubilee Travel to get your Inca Trail permits today!